It may not be big, but it’s beautiful. It will be fun to see how you quilt it! I’m visiting from ALYOF, but am also in FAL! Good luck on your goal!! Thank you for visiting and commenting! 🙂 It was such fun to piece, I’m hoping to do feathers all over it, just need to get up the courage to start. 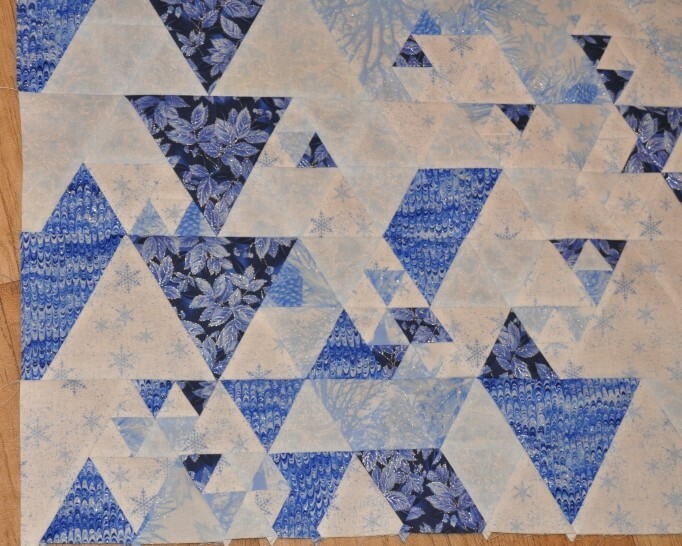 There is something about the interlocking triangles of varying sizes and shades of blue in that quilt top that really captivates me. It will be really fun to see how you quilt it. I am a big fan of feathers. Good luck! Thanks, that’s what drew me into trying the pattern. 🙂 I love equilateral triangles! I might even got to try some quilting tomorrow, hopefully – fingers crossed! Gorgeous quilt – wishing you the best on your goal. This quilt is lovely! 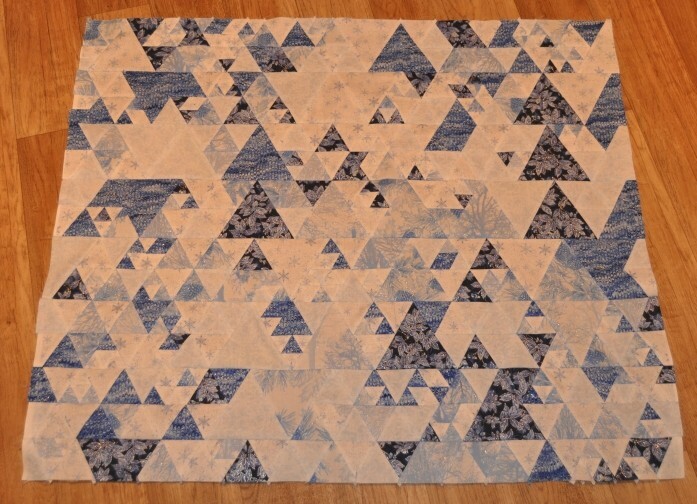 I love the different sized triangles mixed together, and you choice of fabrics! Thank you! 🙂 It went together surprisingly easily. Next Next post: Birds of a Feather – Finished!